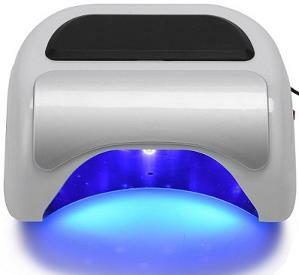 There are 2 types of gel polish curing lamps, UV and Led lamps. 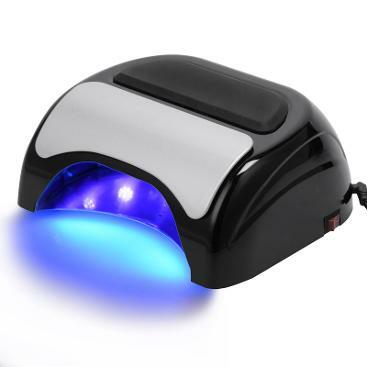 A curing light is required for use with gel polish products, it wont work without this process. The curing lamps are just the beginning of perfect manicure. This professional 48W LED nail lamp is suitable for nail salons or home use. It has three adjustable time (10s, 20s, and 30s) and removable reflective panel. This fast and modern design Led lamp will have you creating your own gorgeous nails in no time at all! This 48 watt Led lamp had globes underneath and on the sides of the underneath for an even curing of the gel polish, uv gel, soak off gels and led gel. It is the best style of Led lamp on the market as it is 100% Led - No UV and Led mix of globes. Beware of Led curing lamps claiming to be Led, but having both UV and Led Globes. They may take longer to cure and cost more without getting the quality of Led. Led is safer and is designed to cure the polish quickly. * Built-in hand sensor, anti-glare. * 10-40 seconds fast dry time (curing time varies with different thickness and brands of ge polish. Remove the bottom plate to cure toenails. Led light is a light source that is visible and can also contain invisible forms of light, such as UV light. We highly recommend that you use not less than a 48 watt Led or a 36 watt UV curing lamp for professional salon use. After several months of regular use of the curing lamp, the bulbs in UV lamp may no longer cure the nail gel coatings properly. How often should I replace them? Generally, in around 2-4 months of regular daily salon use or longer for home use. Gel Nail Polish is formulated to harden when it's exposed to different forms of light. If UV gel nails aren’t properly cured, the results could range from lifting to cracking to air pockets to allergic reactions and more. Most curing lamps you purchase will work with most brands of Gel Polish, however please be aware you follow the brand manufacture process. Disclaimer on UV and LED Lamps. We understand that many gel nail polish users will have a variety of UV and Led gel polish brands or nail polish. The lamps sold here may be used with a range of gel polish brands. Please Note, that to ensure proper curing of UV nail gels, its very important to always use the UV nail lamp that was designed specifically for the UV gel polish brand and recommended by the manufacturer and cure as directed. You may find that the brand of Gel Polish, UV gel polish, Led gel, soak-off gel, or Shellac polish, builder gels, UV products and top, base coat you are using in your salon or at home may not cure properly in just any LED lamp because they can produce different wavelengths of light. Each brand/color of Gel Polish is formulated to work with specific wavelengths which is why the brands sell their own lamps. Bluesky manufacturer recommend that you use a minimum 36 watt-UV curing lamp. Bluesky recommend that you use a 36 watt-UV curing lamp or a 48 watt-Led curing lamp. Bluesky also offer a smaller 9 watt-Led lamp with longer cure time. We do not recommend using a smaller wattage Led lamp for professional Salon use. - Convenient can be used to cure both fingernails and toes. 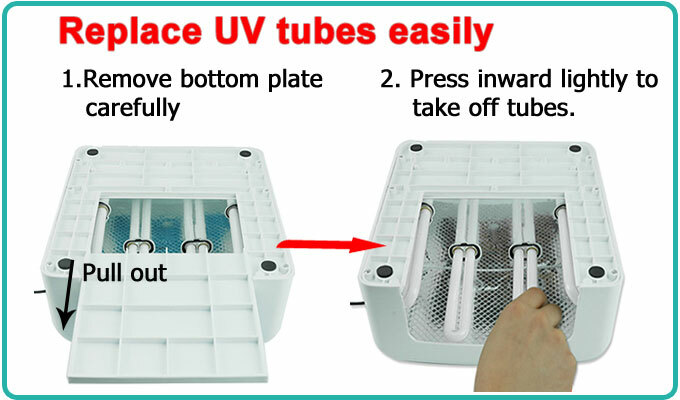 - Can be used for setting gel nail polish and various kinds of UV products, such as UV top coat/ UV builder gel/ base coat. - Reflective layers on the inner wall of the lamp, more effective for curing! 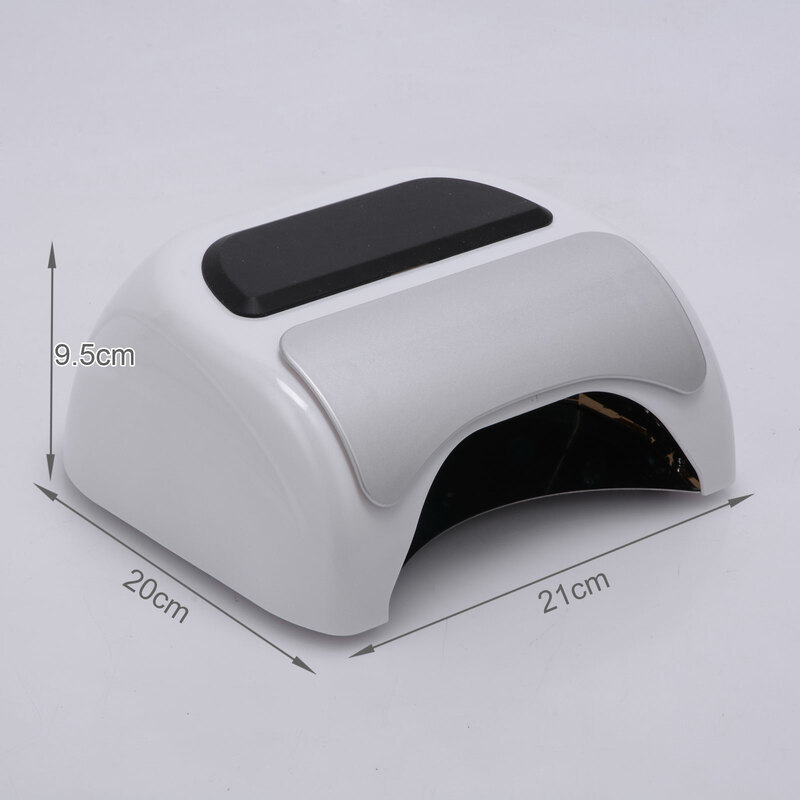 - The 36 w lamp design is suitable for both salon professional and personal nail care use. 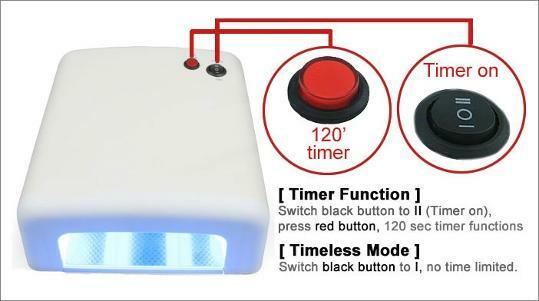 - Timer controller plus manual use make it convenient for professional nail technicians, home studio or personal use. Uv light, or Ultra Violet light is the mostly invisible form of light that is present in Sunlight, Tanning Bed Lamps, and Nail Curing Lamps.